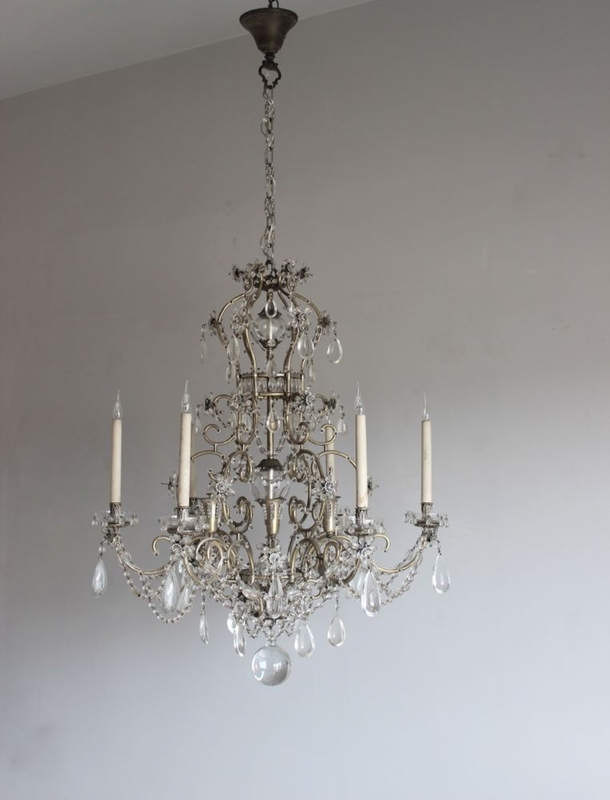 We have two new and very elegant antique chandeliers this week as part of our antique lighting range . 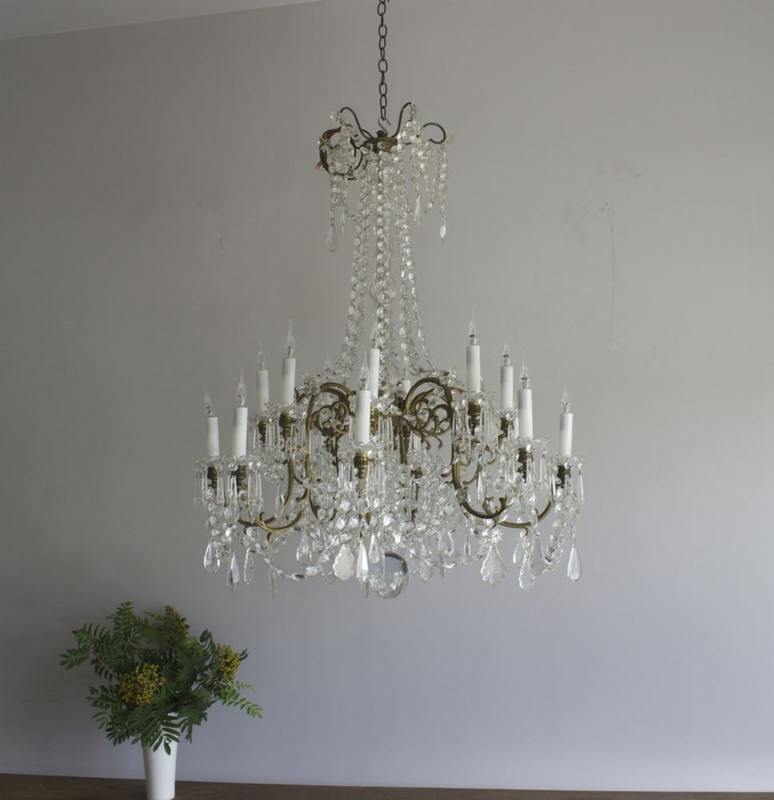 The Napoleon 111 style chandelier circa 1880 is heavily glassed with cut glass octagons and has all the interest at the base , with stringing and French flats to reflect the light , the Italian beaded antique chandelier is later circa 1930 and has beaded lampholders . 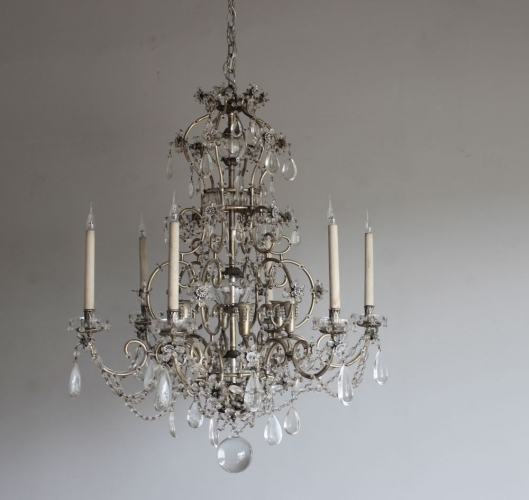 Very different styles but both truly elegant and unusual . 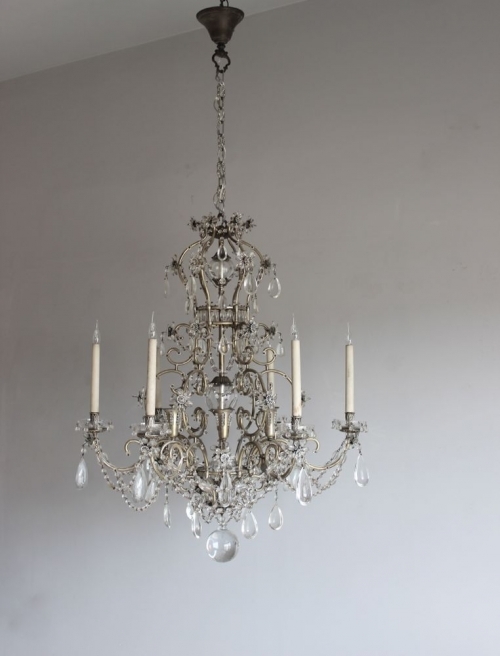 Both suitable for Country houses or London Mansion flats .